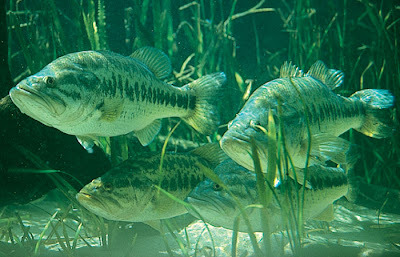 Largemouth Bass will spawn in the late winter to early spring or once the water temperatures reach about 60F. 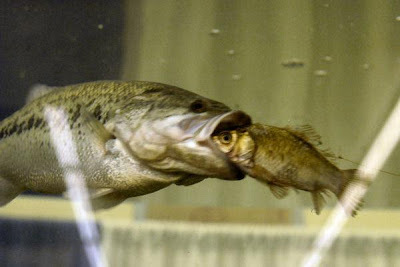 Male Largemouth will make up a nest for the female in waters from 1' to 4' deep. Once the female lays her eggs she leaves and the male stays to guard the nest. I used a maribou jig for the last Largemouth Bass that I caught... Seemed to work well! I prefer using ultralight fishing tackle. You don't always catch the big ones, but the ones you catch are perfect size for the frying pan!